Kaba – Blue Wall Technologies Ltd. The Locking System of Tomorrow: Convenient, Flexible, and Secure. Modern infrastructures require sophisticated access systems which offer innovative and comprehensive solutions. 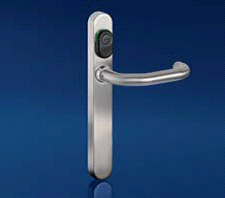 Flexibility and convenience are important demands that a locking system should meet. Companies with shift operations, frequent visitors or with changing structures require a secure and efficient solution. The Kaba elolegic system combines its lock, access and programming elements to create a homogeneous and exceptionally flexible system. Thanks to the efficient programming methods for time and authorization options, security gaps are effectively eliminated. The uncomplicated management system provides an excellent overview of existing access authorizations. Door transactions can be retraced and localized. The Kaba elolegic digital cylinder can be opened with Legic access media such as keys, cards or tags. 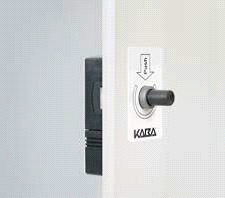 The Kaba elolegic c-lever door furniture solution. No problem when keys are lost Lost keys can be quickly and easily blocked or replaced. Every type of identification medium, such as keys, cards or tags, contains a Legic chip. This allows quick and easy reprogramming of replacement media using the simple “replace” command. Adaptations to the locking system can be made with a portable programming device or with software on a PC. Door information such as authorizations, movements and battery status can be displayed with the software as well. The Kaba elolegic system is very flexible in terms of compatibility. This means that existing mechanical Kaba systems can be retrofitted with the Kaba elolegic system. Mechanical Kaba key clips are replaced with Legic key clips, thus enabling existing doors with existing systems as well as new entrances (e.g. for building expansions) to be operated with the Kaba elolegic mechatronic solution. The Kaba elolegic system is also prepared for seamless integration in the Kaba online world via the CardLink™ function. 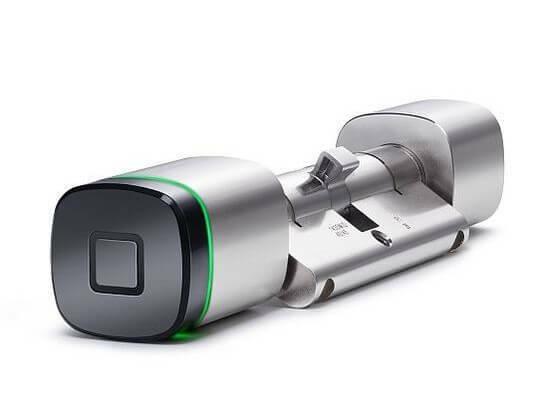 The battery-operated Kaba elolegic locker lock for changing rooms can be integrated into the Kaba exos 9300 online access system.